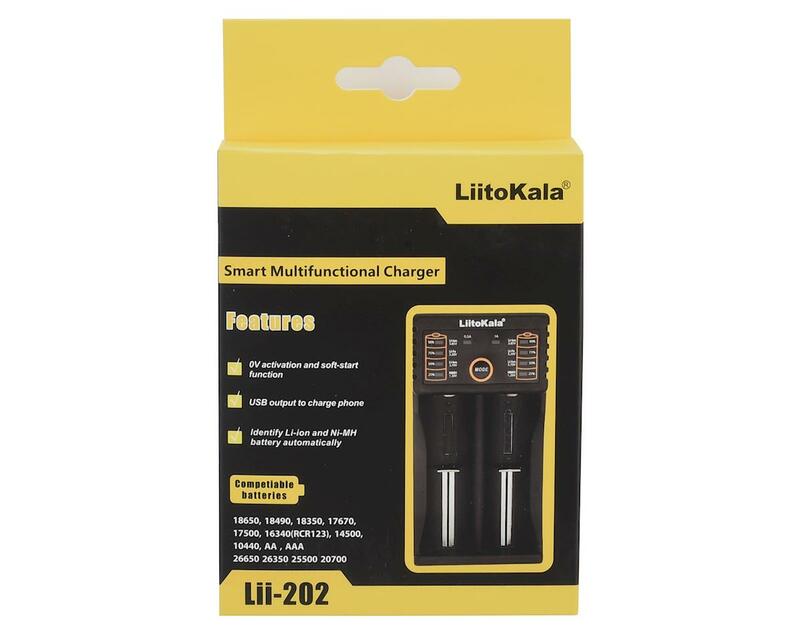 The Liito-Kala Lii-202 2 Cell 3.7V USB Charger is designed to be portable, flexible and supports multiple types of batteries. It can automatically detect the battery type and charge the battery, and you select the charge current. Built-in LED indicators display the charging status and 5V/100mAh USB output function so you can efficiently monitor the charger. It can active 0V rechargeable battery but the charger is not compatible with 1.65V ~ 1.85V battery types. Built with Over-charging protection, over-discharging protection and polar reverse protection. Also, it can identify broken battery. Charging mode: instant current and voltage. 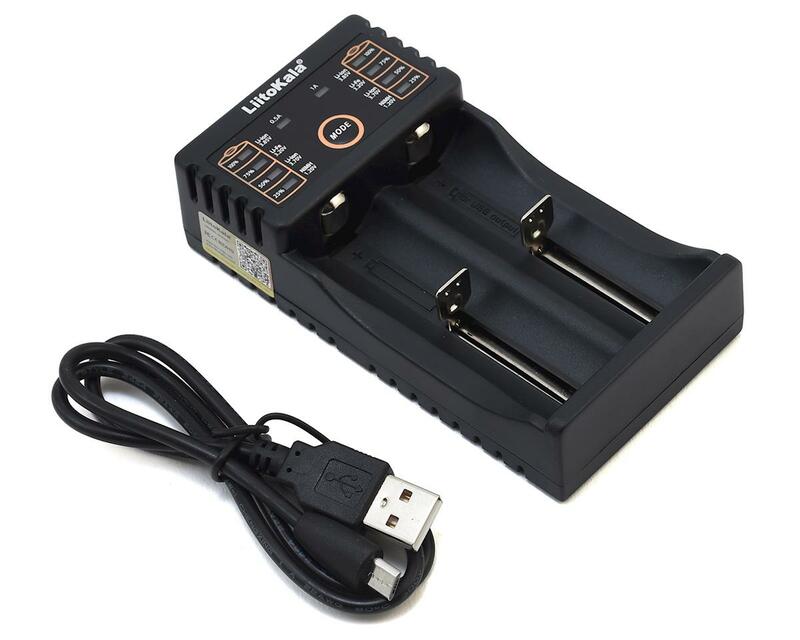 This charge is only for charging cylindrical li-ion (3.7V, 3.8V), Ni-MH/Ni-Cd, LiFePO4(Li-ion) batteries. The charger ma get hot during working a long time, handle with care! Please cut off the electricity and remove the battery from the charger when charging complete.